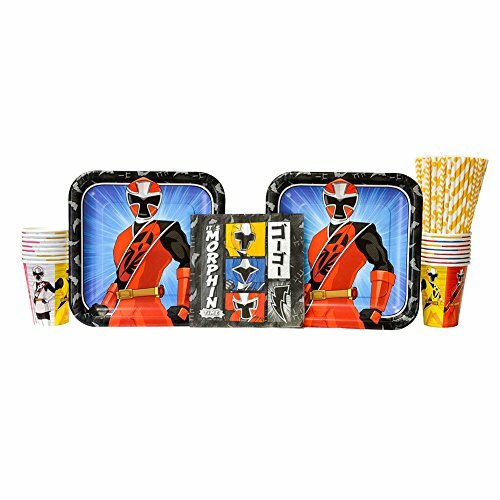 Power Rangers Ninja Steel 24 Guest Party Pack includes 24 dinner plates, dessert plates, cups, forks, spoons, 40 lunch napkins, 2 solid table clothes. Calling all power Rangers Ninja steel fans! 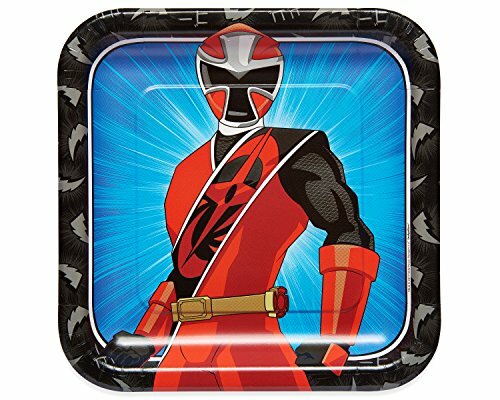 Set the scene for galactic fun with this dinner plate design featuring a fierce-looking red Ranger on a bold blue background. The package includes eight disposable paper square plates (9 in. X 9 in.) with a beveled edge, making them perfect for pizza, sandwiches, snacks and other party foods. 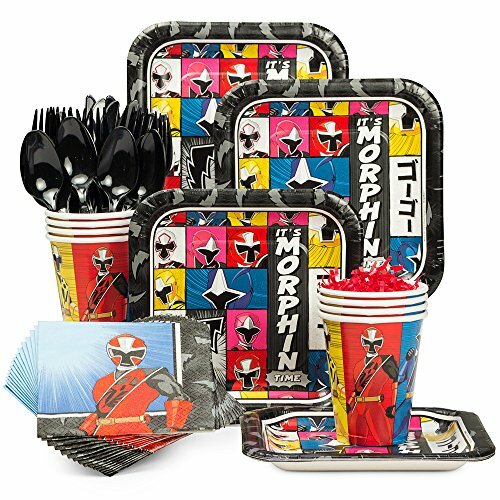 Pair with other power Rangers party supplies and get ready for an action-packed adventure! Power Rangers unite! 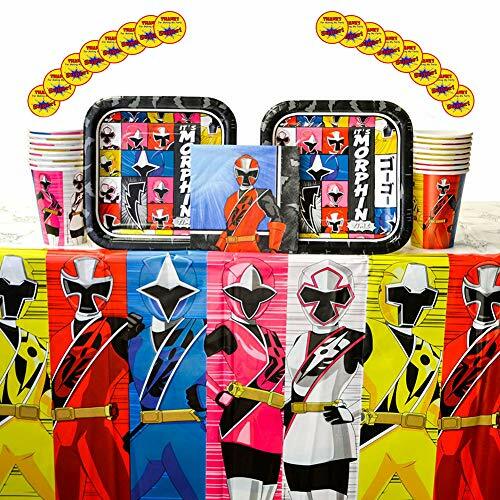 Bring everybody together for an action-packed day and throw an awesome Power Rangers Super Ninja Steel birthday party for your little superhero and their friends with this Power Ranger Party Supplies Party Pack. Bundle includes 16 dessert plates, 16 beverage napkins, 16 cups, 1 table cover, and 16 round "Thanks For Making My Party Super!" stickers. 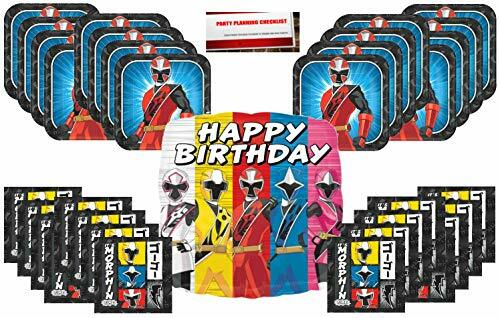 Power Rangers Ninja Steel It's Morphin Time Birthday Party Supplies Bundle Pack for 16 Plus 17" Power Rangers Balloon. 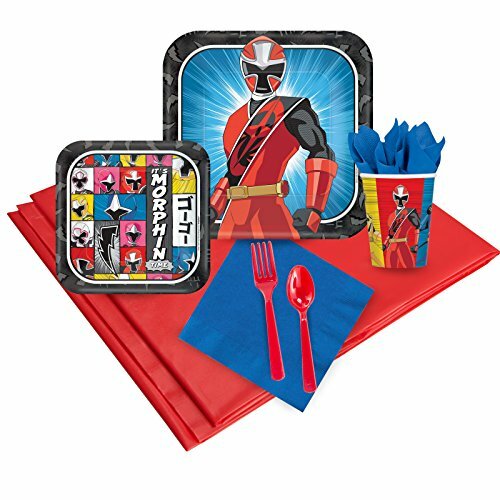 16 - 9" Paper Plates, 16 - Large Luncheon Napkins, Plus Bonus 17" Power Rangers Balloon. Bonus Party Planning Checklist by Mikes Super Store. 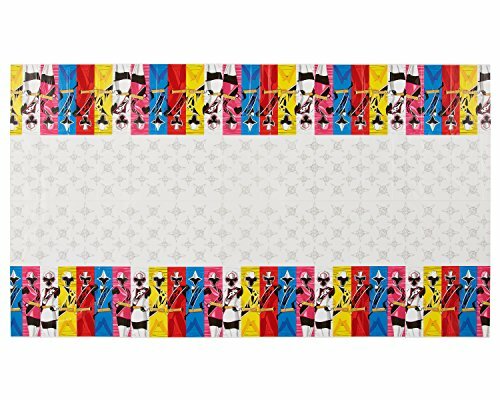 Coordinate your little boy?s event by adding this Power Rangers Dino Charge Plastic Table Cover. Each orange cover comes with a white border and features all five of the Power rangers ready to strike into action. Power Rangers unite! Bring everybody together for an action-packed day and throw an awesome Power Rangers Super Ninja Steel birthday party for your little superhero and their friends with this Power Ranger Party Supplies Party Pack.. Bundle includes 16 lunch plates, 16 luncheon napkins, 16 paper cups, and 24 Cedar Crate Market brand straws made of non-toxic, BPA free, and elemental chlorine free materials. Strong and durable for lasting fun and enjoyment! Straws made in the USA! 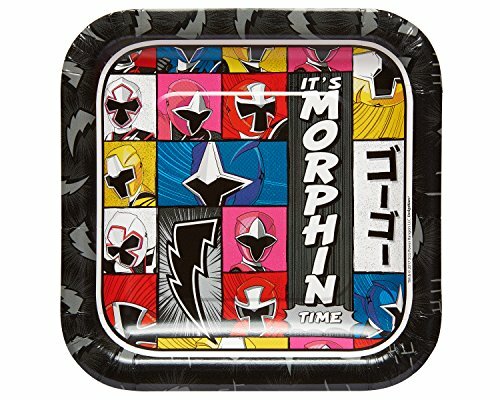 Want more Power Rangers Plates similar ideas? Try to explore these searches: Large Coach Bag, Right Side Window, and Reverse Loop Module.